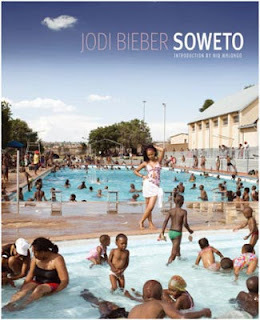 To coincide with the publication of her new book Soweto, South African photographer Jodi Bieber (that's Jodi not Justin) will be discussing this new body of work as well as her career from humble beginnings as a darkroom assistant to renowned photojournalist. More on Bieber's career. I'm a fan of Bieber's candid portraiture, political reportage and stylised photojournalism but unfortunately unable to attend tomorrow's event. I bet it'll be an insightful and inspiring evening with one of the most recognised female photographers. 6.30pm Wednesday 30 June, at HOST Gallery, 1 Honduras Street, EC1Y 0TH. Soweto will be available to buy and have signed by Jodi on the night.